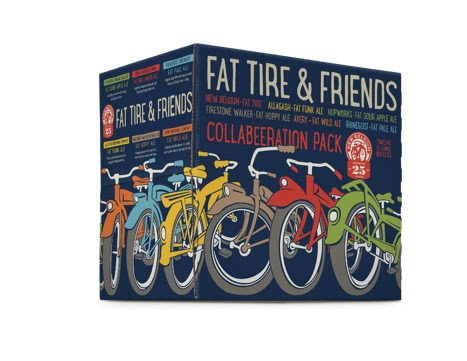 FORT COLLINS, Colo.—New Belgium Brewing celebrates its 25th anniversary with the release of five collaboration beers reinterpreting the brewer’s flagship, Fat Tire Amber Ale. Fat Tire was first conceived on a bike ride through Belgium and came to life as a homebrew in the late 1980’s. Spurred on by accolades from friends and a grip of homebrewing awards, New Belgium co-founders Kim Jordan and Jeff Lebesch took the beer commercial in 1991. Since then, the 100% employee-owned company has become the nation’s 4th-largest craft brewery with distribution in 41 states and a second brewery just opening in Asheville, NC. New Belgium brewers teamed up with brewing friends at Allagash Brewing Company (Portland, ME), Avery Brewing (Boulder, Colo.), Firestone Walker (Paso Robles, CA), Hopworks Urban Brewery (Portland, OR) and Rhinegeist Brewery (Cincinnati, OH) for the project. About Firestone Walker Brewing Co.
Hopworks Urban Brewery strives to revolutionize and inspire the brewing industry with practices that drive quality, protect the environment and improve the community we live in. Utilizing organic malts and a combination of locally-sourced, organic and Salmon Safe hops, the company’s 20-barrel brewery produces 13,500 barrels of beer and cider a year for HUB’s two brewpubs and for distribution throughout the Northwest. Hopworks is a family-owned and operated business, the first Certified B Corporation brewery in the Pacific Northwest, a gold-level bike friendly business, and is recognized as one of the Best Green Companies To Work For In Oregon. Visit Hopworks online atHopworksBeer.com and follow us on Twitter,Facebook, and Instagram.